It’s been nearly a year since last I posted, and it hasn’t been particularly good one. In that time I’ve laid off staff, been laid off myself, applied for hundreds of jobs, and managed to luckily land somewhat on my feet after a limited unemployment. But it was (and continues to be) tough going sometimes. Over these past months, I found myself living under a shadow most days — one that it’s still difficult sometimes to get out from under, even now. One of the perks of my new job means I get to walk to work, which is good for me as I’m not typically the type that seeks out exercise on a regular basis. This commute takes me through the “Hearthside” district of downtown. So on a daily basis I get to see people living right on the margins, as well as those who are well past them. It can be a distressing commute some days. But it serves a reminder of how difficult things are for a lot of people in the country, as well as a good reminder of how fortunate I am to have the job, home, and family that I’ve been given. On a brighter side… During these intervening months, two projects that were gestating for a long, long time finally got off the ground. 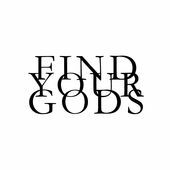 The first of these is the Find Your Gods podcast in which I explore the resonance and relevance of ancient myths in modern times. It’s deeply personal and mildly informative. And most people seem to like it, so that’s okay. And I should mention that my novel The Red Boy was finally released in both print and audio formats. I’m very pleased with both and deeply grateful to the kind support of designer Kyle Harris and award-winning narrators Tanya Eby and Neil Hellegers for helping to bring it to life. It’s a good book, I think. A little sad, but it’s well suited for this time of year, when October brings cooler weather, changing leaves, and darker days. It’s been odd weather here in Michigan. Temperatures in the 90s a few weeks back brought out a literal plague of flies in my neighborhood. Fortunately it looks like cooler weather is here and the pests are on the wane. Now that I’m (hopefully) edging out from under the shadow cast by the previous months… In the evenings, I’ve been equally dividing my time between work (there’s always something to do in the evenings before the next day), researching and writing the next episode of Find Your Gods, or my latest book The Chameleon’s Dish — which is turning out to be a bit of connective tissue between the The Red Boy and The Cradle. I’m tentatively, cautiously hopeful that it might see publication before the end of 2018.